This is a Configurative application developed for a well-known railway museum. 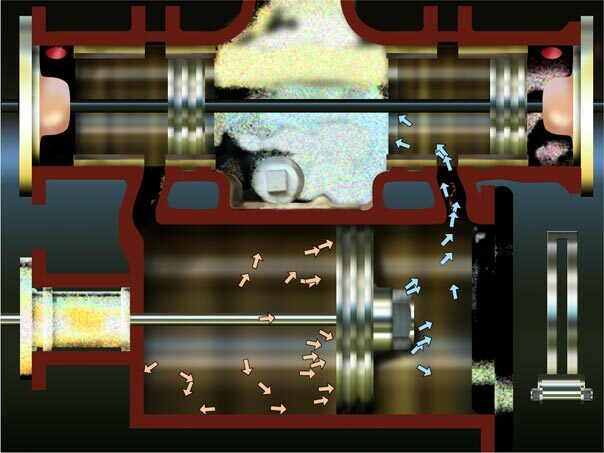 It simulates the operation of a locomotive's compound cylinder. The slider on the right controls the speed, allowing the visitor to see the operation of the slider valve and understand the flow of live and exhausted steam.